Posted January 11, 2015 by Dan Weisberg & filed under Press Releases. Assemblyman Ken Zebrowski (D-New City) presented Leadership Rockland with a New York State Assembly Proclamation today commending their 25 years of service—and declared every third Thursday of January as “Leadership Rockland Day”. 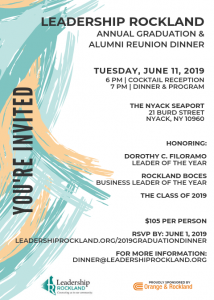 A vital resource for the community, Leadership Rockland offers existing and emerging leaders an educational experience focused on the infrastructure of Rockland County, New York – presented by leaders in government, business and non-profit sectors. With 600 graduates over a 25-year span, the program consists of 11 daylong sessions over a 10-month period, and engages and challenges its participants to examine issues and seek solutions, Zebrowski said in a press release. “I am proud to honor Leadership Rockland with this proclamation as they celebrate 25 years of exceptional service and dedication to the county. They continue to enrich and be a vital resource for Rockland, creating our leaders for tomorrow,” Zebrowski said. Leadership Rockland’s topics include Leadership Skills; Historical Rockland; Environment; Multicultural Communities; Education & Developing Human Capital; Economic Development; Criminal Justice & Public Safety; Healthcare & Emergency Services; Art, Culture, Media and Communications; Politics & Public Policy; and Making an Impact. “Our goal is to attract and nurture exceptional leaders and to provide opportunities and structure for a continuum of professional development activity which will enhance their knowledge of Rockland County,” said Jan Degenshein, Chairman of the Leadership Rockland Board of Directors. About Leadership Rockland, Inc. Leadership Rockland offers existing and emerging leaders an educational experience focused on the infrastructure of Rockland County, New York – presented by leaders in government, business and non-profit sectors. With 600 graduates over a 25-year span, the program consists of 11 daylong sessions over a 10-month period, and engages and challenges its participants to examine issues and seek solutions. To learn more or to apply, visit www.leadershiprockland.org.